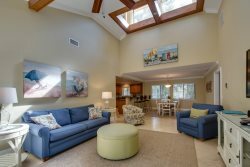 This 5,000 sq ft, 5 bedroom, and 5.5-bath 3rd row home is a premier Hilton Head property located just a 3-minute walk from the surf of South Forest Beach. 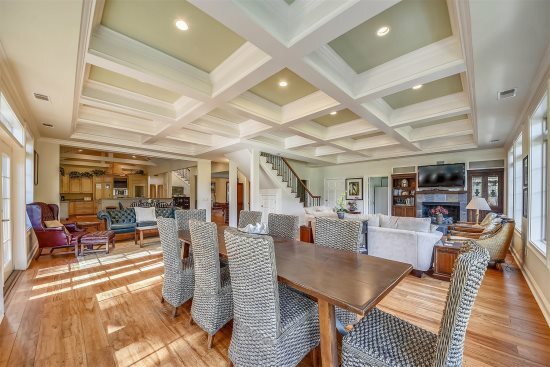 This 5,000 sq ft, 5 bedroom, and 5.5-bath, 3rd row home is a premier Hilton Head property located just a 3-minute walk from the surf of South Forest Beach. Nothing has been spared in the construction or designer furnishings of this beautiful home and, rather than feeling that you are simply "checking-in" for a vacation, you'll feel as if you have been invited to stay in a warm low-country home offering southern charm and delight. The inviting front porch rockers offer all the welcome that you need. The front door leads into the friendly foyer and on to the kitchen. The kitchen is both a gourmet cooks' delight and a warm gathering place with its state-of-the-art appliances, cabinetry, and granite countertops, as well as, a long dining/serving counter with four barstools that provides a connection to the dining area. The formal dining area, open to both the living room and the kitchen, have a large wooden table with ten wicker-base chairs and a built-in wet bar with both glass-front and closed storage cabinets; supply the wine and let the party begin. The living room has a majestic, cathedral ceiling and a soaring wall of windows with native landscape in view. Another wall features a fireplace and a 50' plasma flat screen HD/TV surrounded by custom built-in cabinets and bookcases. The third wall has three sets of French doors, which open to a side porch with comfortable wicker rockers overlooking the pool. Within these three walls, the living room is beautifully furnished, yet retains the aura of a comfortable, relaxed, and restful retreat. The master suite has a king-size bed, a TV/VCR/DVD, and a luxurious private bath with a walk-in shower, a Jacuzzi tub, two separate vanities, and a room-size closet. Completing the first floor amenities are a convenient powder room and a fully equipped laundry room. A grand staircase leads to the second floor where four guest bedrooms sit, each with a private bath, surrounding an open sitting area. One bedroom features a king-size four-poster bed, two of the bedrooms have queen-size beds, and the fourth has two twin beds. There is also a second floor sitting area with a built-in desk/office center, a chic sofa, as well as, French doors that open to an upper level front porch with a bench for sitting and pondering your thoughts. On the outside of this stately home, you will find professional landscaping, a private in-ground pool with an attached spa, a convenient outdoor shower, along with a covered seating area with wet bar, upscale outdoor furnishings, a ping pong table and off-street driveway parking, as well as ground level parking for four vehicles under the home. Spacious, serene, spotless with a simple walk to the beach; your stellar escape awaits! Happy Vacationing! Pool can be heated from October to April. Beautiful house and very clean! Would definitely stay here again! We love 3 Bayberry Lane! Our overall experience was wonderful. Best property we have stayed at in the nine years we have used sunset. On behalf of our group, we want to thank Sunset Rentals for providing the most professional staff and helpful people to make our experience far exceed all of our expectations. This property is quite special and we look forward to renting this again in the future! Thank you all for being so great to us during our stay! Our vacation to the island was extraordinary, and that was most due to our accomidation, 3 Bayberry Lane. It was everything and more that we were expecting and it helped make our trip even better! 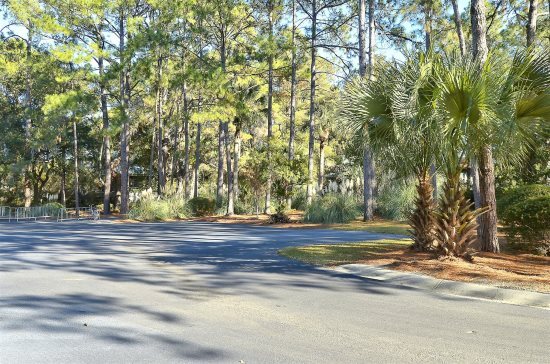 We have been to Hilton Head several times and this property is by far the best we have rented. It was practically perfect (other than some kitchen items we could have used). If available we will definitely try to reserve this property again in the future.